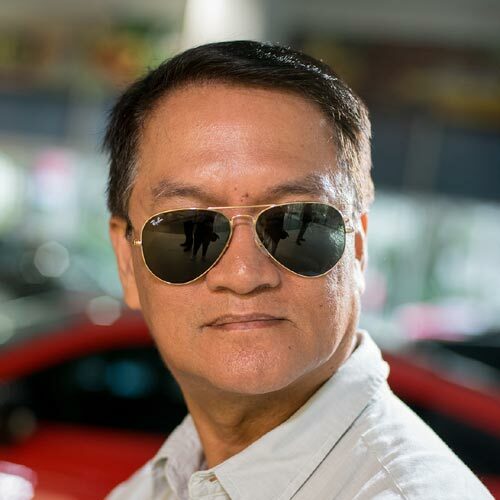 With the start of Holy Week being nearly upon us and most people already in vacation mode, we expect an exodus of motorists from Metro Manila in the coming days. We’ll see more buses, cars, trucks, and motorcycles heading off to different destinations. It’s time to relax and breathe some fresh air. In the case of two-wheelers, it’s not always that riders would be willing to throw a leg over their bikes. 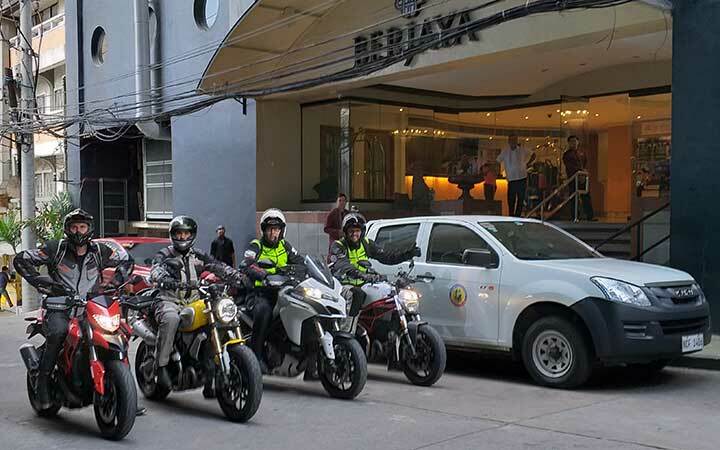 Some motorcycles aren’t street-legal, for instance, or maybe the owner is not feeling well or simply not in the mood to ride. 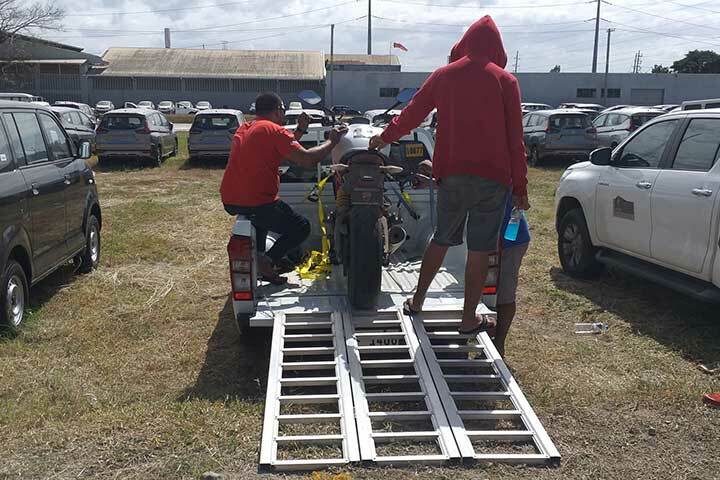 Known for their versatility and durability, pickups are often the first choice of people needing a vehicle to transport their motorcycles. But those traits won’t automatically guarantee that your ride is 100% safe while loaded onto a truck’s bed. 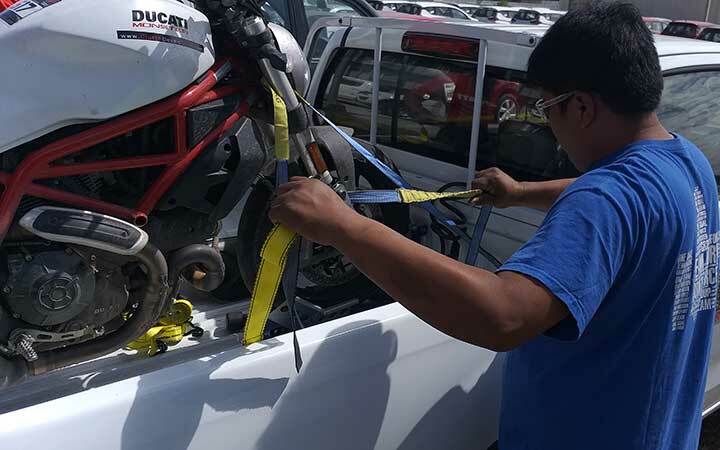 Just check YouTube and you’ll find lots of scary—and sometimes funny—videos of bikes falling off pickups simply because their owners didn’t know how to secure them properly. Worse than damaging your bike, such mishaps could also cause injury to yourself and to others. 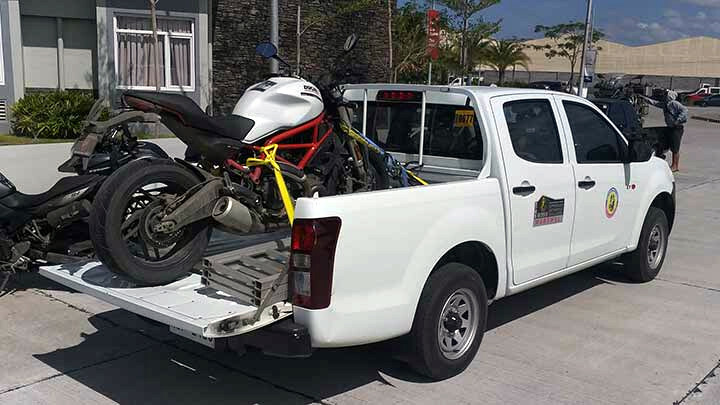 To avoid these unfortunate incidents, here are 10 safety pointers to remember when transporting your motorcycle using a pickup. 1. Make sure the handbrake is engaged. This is very important. 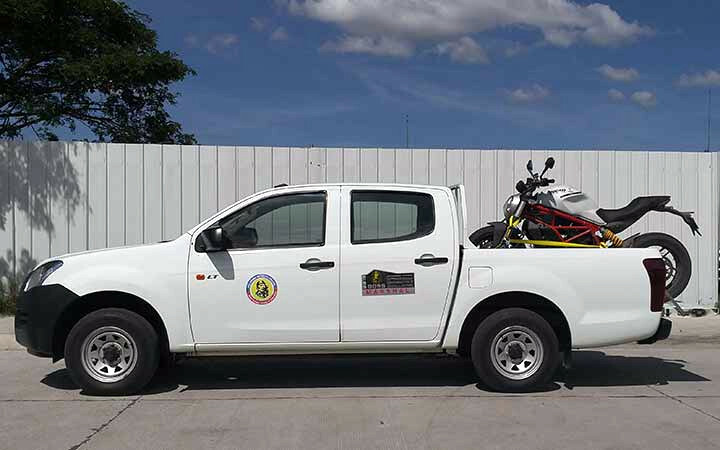 Double-check if the handbrake of the pickup is engaged after positioning the vehicle in preparation for loading of the bike, to ensure it won’t move from its position. 2. Look for an appropriate loading area. Try to find a slightly downward-sloping area to park the truck, so you can load the bike onto the bed with less effort. Just make sure the place is clear of passing traffic and pedestrians. 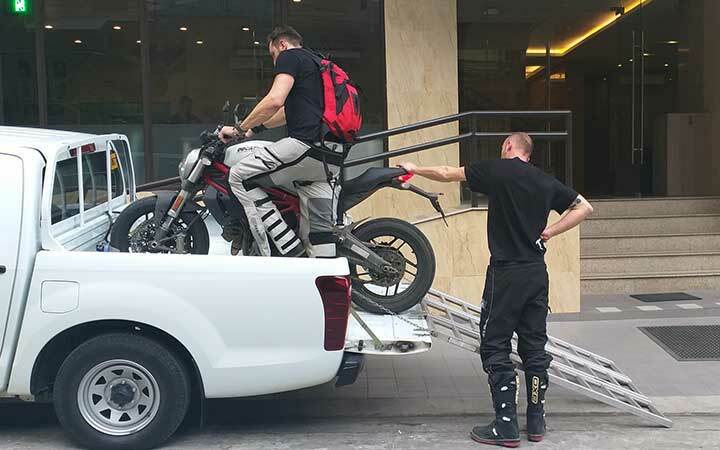 A number of times, I have seen a rider loading a motorcycle onto a truck by himself. But I consider this too risky, especially for first-timers. It’s always best to ask for a helping hand—bikes are heavy machines. 4. Overconfidence leads to carelessness. 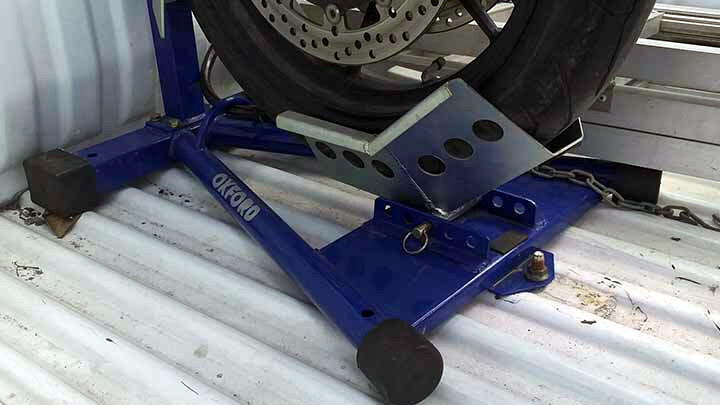 Keep everything properly secured—and that starts with the bike’s loading ramp. Don’t think that when you position the loading ramp with one edge against the tailgate and the other on the ground, it will stay in place. The weight of the bike might cause the ramp to shift position, and when that happens, the bike will likely fall. 5. Always use proper equipment. Bikes weigh anything from 100kg to 400kg. 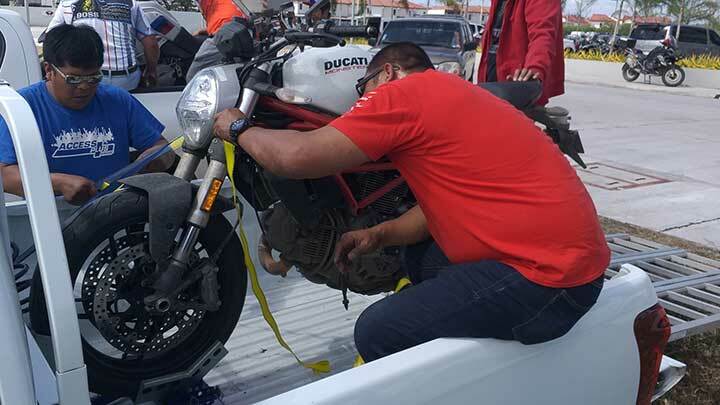 To ensure that your motorcycle won’t budge on the cargo bed, use a bike dock and ratchet tie-downs (for securing the front part) or buckle straps (for the rear) instead of ordinary rope. These items provide the correct tension on the motorcycle’s harness to prevent damaging any of its parts. 6. Remove the key from the ignition. 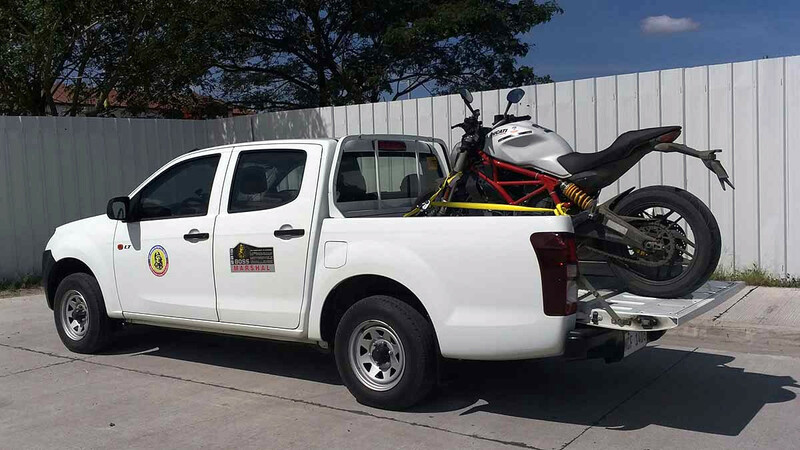 When you’re loading your bike onto a truck, always keep the pickup’s key in the console box so you’ll know where to locate it when needed. 7. Rodeo riding is a no-no. See to it that no one is sitting on the bike before driving off. And just in case you’re planning to travel on expressways, tollway authorities won’t let you through if you have passengers riding on an open cargo bed. 8. 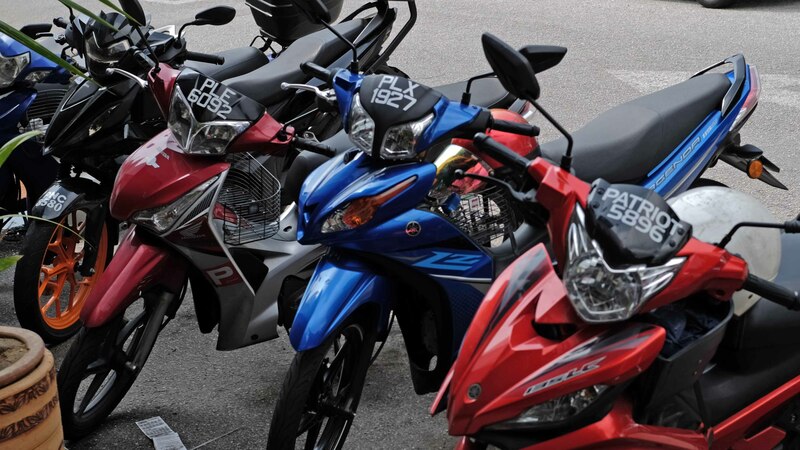 Keep your riding gear inside the vehicle. Don’t leave out helmets, tools, or any other gear that might attract the attention of thieves. 9. Drive at a safe speed. You will immediately notice a change in the truck’s handling, especially when taking a corner. Maintain a safe speed, and always keep a safe distance to the vehicle in front. 10. Make sure the tire pressures are correct. With the additional load, maintaining the correct tire pressures is vital for a safe enjoyable ride. 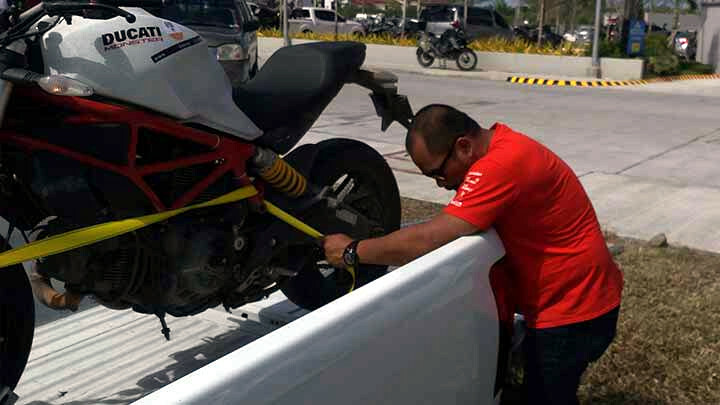 Before setting off, make sure the tires are inflated according to the carmaker’s recommended pressure for heavy loads. 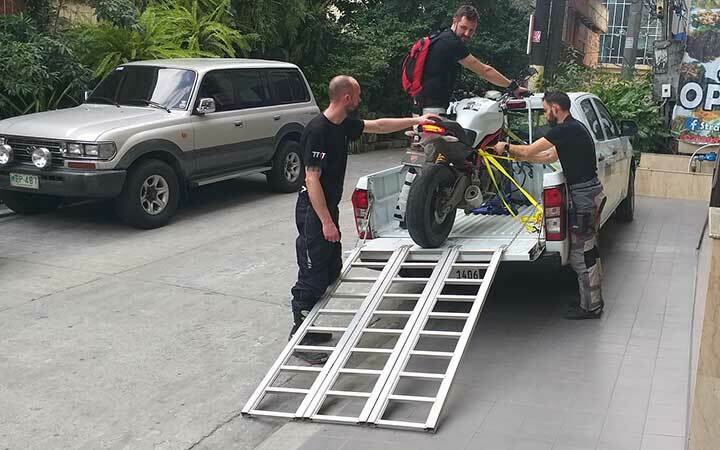 Loading a motorbike onto a pickup maybe nerve-racking at first. But always remember: Practice makes perfect!